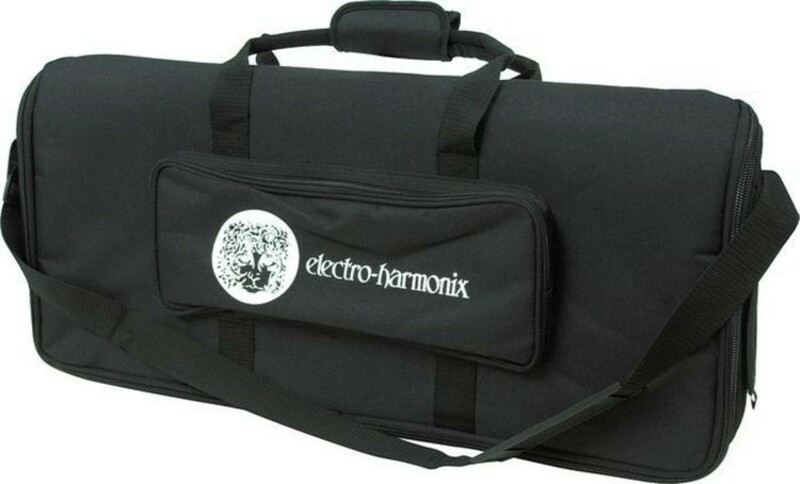 Organize your pedals with this padded and lightweight Electro-Harmonix pedal board with bag. 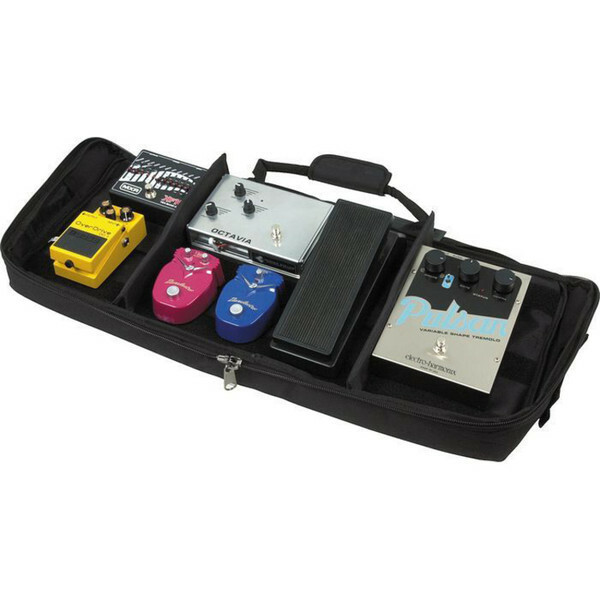 Made of durable canvas, enclosing a stiff non-slip board, the EH pedal board securely holds effect boxes of all sizes and shapes. Customizable velcro strips and dividers allow a setup to suit your needs. Measuring 27" long by 12" wide by 2" deep, the board has dual handles and a shoulder strap for easy transport. The front offers a separate zippered pouch for smaller items. Plus, cable openings on both sides make plugging in amps and AC a breeze without ever moving your gear. Just open up and you are ready to rock!